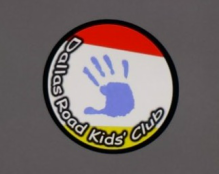 Here you will find any forms you need to fill out for registering your child at Kids Club. Every year, you must re-register your child so that we have an updated version of contact details and information on your child/children. You can, or course, collect a form from Kids Club, or request one to be sent out to your address. However, if you'd prefer to print your own, feel free to do so. Be advised, if we do not have a registration form, we cannot collect your child from school, or allow them to be involved at playschemes. Each child will need a separate registration form.